Golden lion tamarins are found only in Brazilian forests. These small, remarkable monkeys once had plenty of space to roam and claim family territories. But years of deforestation caused their numbers to shrink. They were in serious danger of becoming extinct. To help, scientists studied the animals in zoo settings. But they faced several mysteries. Why weren't golden lion tamarins reproducing in zoos? If scientists reintroduced zoo-raised tamarins to the wild, would those monkeys survive? And how could scientists give tamarins enough forest area for the population to grow? 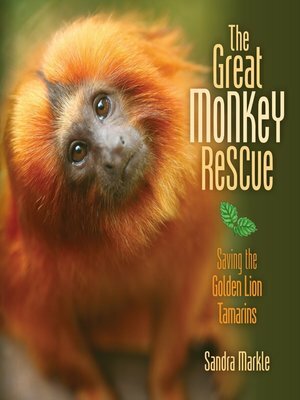 Find out how scientists and concerned citizens worked together to give golden lion tamarins a hopeful future.